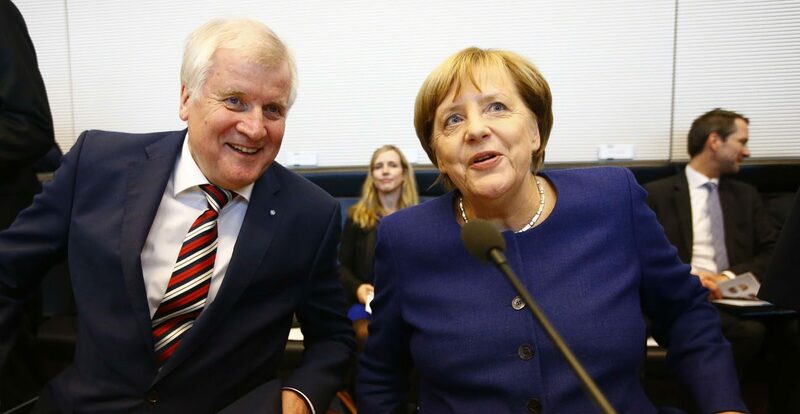 FULDA, Germany (CNS) — The president of the German bishops’ conference urged “verbal disarmament” after Sept. 24 elections brought a far-right party into the Bundestag, or parliament, for the first time since World War II. The cardinal spoke as the final vote count gave Chancellor Angela Merkel’s Christian Democratic Union-Christian Social Union coalition 33 percent against the opposition Social Democratic Party’s 20.5 percent. The anti-immigrant Alternative for Germany took third place with 12.6 percent. “These results pose a great challenge for us as a church — we must not give up the democratic struggle for a prosperous coexistence,” Archbishop Koch said in a Sept. 25 statement. The German Catholic news agency KNA reported Sept. 26 support for mainstream parties had fallen sharply among Catholics, who make up 29 percent of Germany’s 82 million inhabitants. Thomas Sternberg, president of the lay Central Committee of German Catholics, told Cologne’s Catholic Dom Radio Sept. 24 he believed support for the Alternative for Germany was incompatible with Christian teaching. However, the Berlin archdiocesan spokesman, Stefan Forner, said local Catholics, many foreign-born, had presented a “great variety” of views and perspectives, adding it was now key to prevent a deepening of divisions. “We should remember 87 percent of voters aren’t supporters of populism and nationalism,” Forner told Catholic News Service Sept. 26.